4. 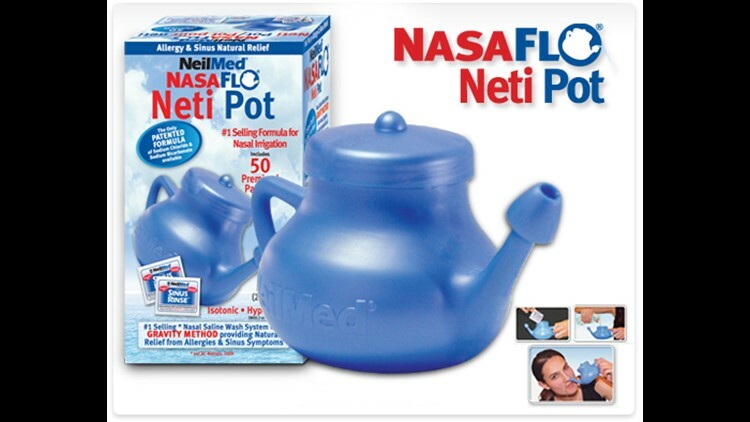 Use a neti pot: A saltwater solution in a neti pot can be used to flush out the sinuses. The treatment involves tipping your head to the side and pouring the fluid into one nostril and out the other to remove pollens and loosen mucus.